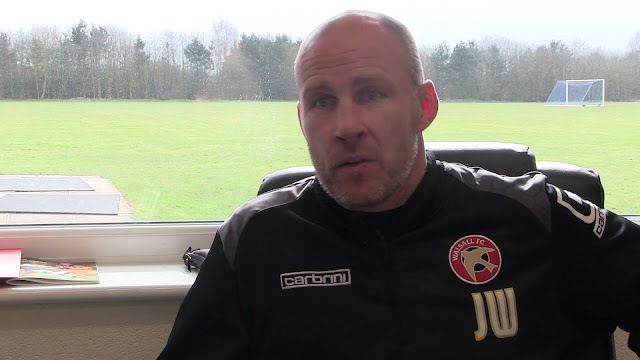 Walsall manager Jon Whitney has spoken to the local press ahead of Good Friday's clash with relegation-threatened Shrewsbury Town, and has insisted that he and his team must have no sympathy for the struggling Shrews. Speaking via the Express & Star, Jon said; "It’ll be a tough game. It was only a month past and I did a league table of the last 10 games, and ourselves, Shrewsbury and Fleetwood were up there. They’ve dropped off a little bit in the last month but they’re still picking up the wins. "They’re a point off the bottom four and Port Vale have a game in hand, which is against us. I think we can have a big say in what happens at the bottom and it’ll be the same with Swindon coming on Monday. "We’ve got to make sure we enjoy that. We have no sympathy – we still have to finish as high as we can. It’ll be a tough game going to their patch. Again they’re fighting for their lives so we have to at least match their tenacity and their desire, and hopefully we can then play our game and our quality can come through."